Identity. Who am I, really? 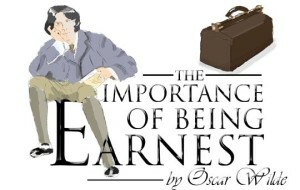 “The Importance of Being Earnest” is, at it’s heart, a play about identity. I saw a production of it Saturday that was a perfect confection. The play is a classic, written by Oscar Wilde and first staged in London in 1895. Chock full of wit and humor, it mocks social conventions AND though the word is never uttered, it’s also a play about adoption. The plot is immensely complicated with one farcical turn after another, but suffice it to say that the play’s main character, Ernest (a.k.a. Jack Worthing,) lives a double life and uses his obligations to a fictitious younger brother as an excuse to avoid certain social obligations. As the play opens, his best friend, Algernon, good-naturedly traps him in his lies and things begin to unravel most comically. Ernest, who is known as Jack (his actual name) while at his house in the country where he maintains his ward Cecily and her governess Miss Prism, frequently excuses himself to travel to London ostensibly to rescue the fictitious brother he calls Ernest (keep in mind that he himself is known as Ernest to those who keep company with him in the city.) Cecily has a mad crush on the fictitious brother Ernest and longs to meet him. She gets her wish when Algernon, in his plot to unravel Jack’s lies, shows up at the country house impersonating Ernest–whom Jack has, moments before in an effort to simplify his life, announced as having suddenly died while in Paris. Algernon and Cecily fall in love. Jack gets a visit from Gwendolyn, the London girl to whom he’s engaged, (remember she knows him as Ernest–oh, and she finds the name Ernest irresistibly attractive.) And in the ongoing investigation of Jack’s suitability as a husband, Gwendolyn’s mother, Lady Bracknell, (who is also Algernon’s aunt) prods Jack into revealing that he was a foundling, his parents unknown to him, thereby jeopardizing his standing in London society. A few twists later we learn that it was Miss Prism who accidentally left Jack, as an infant, in a large handbag in a train station when she was in the employ of Lady Bracknell’s sister…..Are you ready for it? Yes indeed, the friends, Jack and Algernon, are really brothers. And when Jack investigates further to find out what his original name was before he was re-christened after he was taken in by a benefactor….you guessed it….Ernest. Most adoption/reunion stories I’ve heard are full of amazing co-incidences. They’re just not as funny. You need somebody like Oscar Wilde, I guess, to pull that off. I love “The Importance of Being Earnest” and I’ve seen it at least a half-dozen different times over the last few decades. I love how the audience always gasps when Jack finds out who he really is and what his original name was. Every time, I think about all those strangers I’m sitting with in the dark. How many of them are adopted, how many might have brothers or sisters they don’t know, how many would give anything to know the name they were given at birth. And how, in real life, that’s not funny at all. 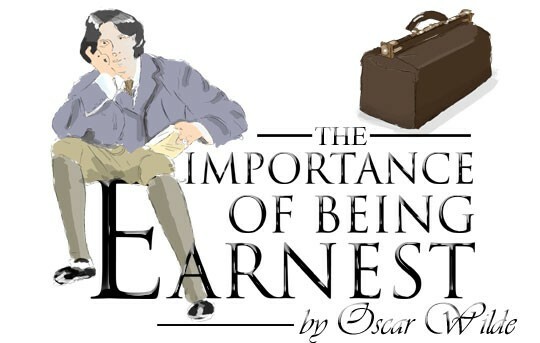 This entry was posted in adoption, adoption reunion, family and tagged adoption, birth family, brothers, co-incidences, original name, sisters, The Importance of Being Earnest, The Importance of Being Ernest, theatre on November 24, 2014 by declemen.